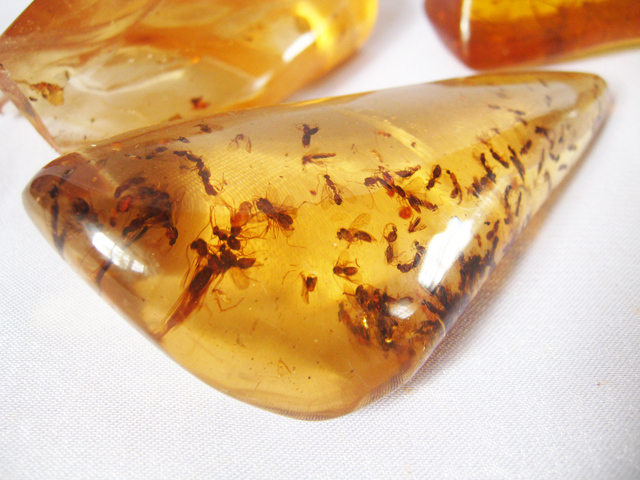 Amber is a light, ancient petrified pine tree resin. It had been worn as jewelry and burned as incense by Tibetan and Native Americans, for both social and sacred use. Amber diskette coins were also traded as currency by the Vikings. Amber: Lift heaviness. Amber is great at lifting the heaviness of burdens -- allowing happiness to come through, also absorbs impurities. In Tibetan Buddhism, Amber has been treasured since time immemorial. The golden color is associated with the Buddha Ratnasambhava, who helps to remove poverty be reminding us us out inherent richness and wealth. Amber, in the healing community, is associated with detoxification, and it is suggested that Amber should be "cleansed or purified" after being used for healing to dispense the negative energy it may have absorbed. Polish Amber - Beautiful range of colors. Proportion of mat:transparent around 50:50. Mined at small scale. 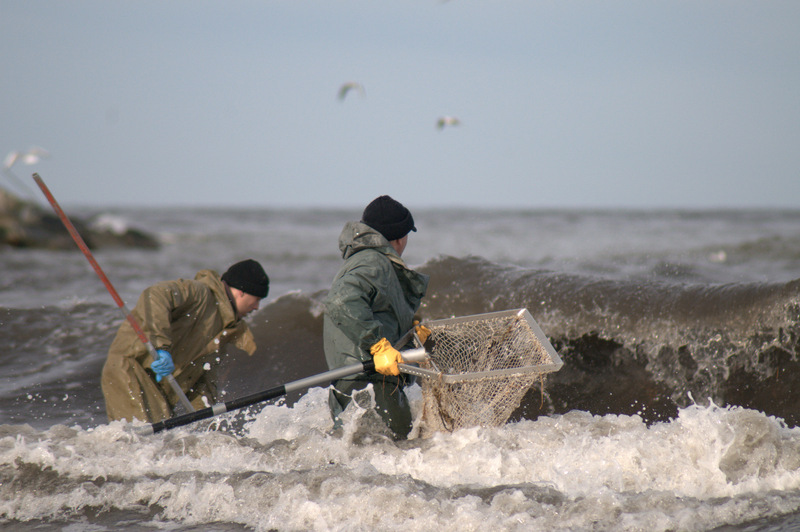 Mostly comes from the Baltic Sea and forests nearby. Ukrainian Amber - Strong orange/yellow color. Proportion of mat:transparent around 80:20. Digged in open fields of Ukraine. Often consist many "water with milk" color. Russian/Lithuanian Amber - Many whiteish mat pieces. Mined in open pits using explosions. 90% of all amber in the world comes from Russia so it is most common. Copal is not the fossilized, hardened resin that is known as amber, but rather an immature recent resin. Increasingly, copal is being offered for sale via the online auction services, fossil dealers' websites, gem shows, and shops, misrepresented as "amber." The commercial value of amber is related to its scarcity, age, inclusions of extinct species, and durability. True fossil amber is MORE VALUABLE than copal. Unfortunately, some dealers are more preoccupied with high economic returns, rather than whether or not their resin is fossil or recent. Fortunately, there are tests that can be done to differentiate the two. The most deceptive and malicious dealers will try to impress uninformed prospective buyers as they spout all sorts of seemingly-impressive but irrelevant scientific garbage, ignoring the simple facts and obvious age differences in amber versus copal. These fraudulent dealers will attempt to convince naive and trusting buyers that copal IS amber when this couldn't be further from the truth. A warning to buyers of COPAL WHO THINK THEY ARE GETTING AMBER - unlike true fossil amber, copal will craze deeply on the surface as early as only a few years when the volatiles (turpenes) from the original resin evaporate. It is NOT rare to find spectacular types and concentrations of inclusions in copal - it IS rare to find the same in true fossil amber. 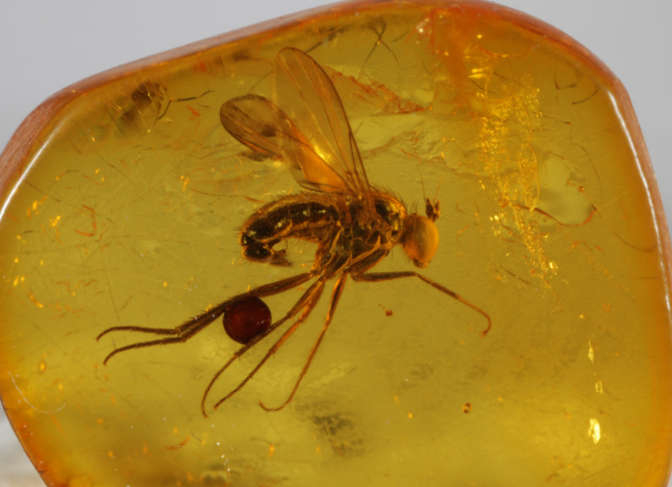 If the same inclusions were found in true fossil amber, the value of the specimen would be exceedingly higher in price than the same specimen in copal. The problem is, you cannot even compare inclusions because most of the life-forms found in true fossil amber are now EXTINCT whereas the types of inclusions found in copal are MODERN and still living today! Often, naive collectors fall victim to dishonest fossil dealers and are suckered into a higher price for a piece of copal that is loaded with fascinating inclusions as they confuse the rarity of these inclusions with genuine fossil amber. Despite what appears to be valuable, copal is worth only a small fraction of what an equal specimen in genuine fossil amber would sell for. Copal, an immature and controversial resin, is a much younger form of tree resin compared to the prehistoric nature of true fossil amber. 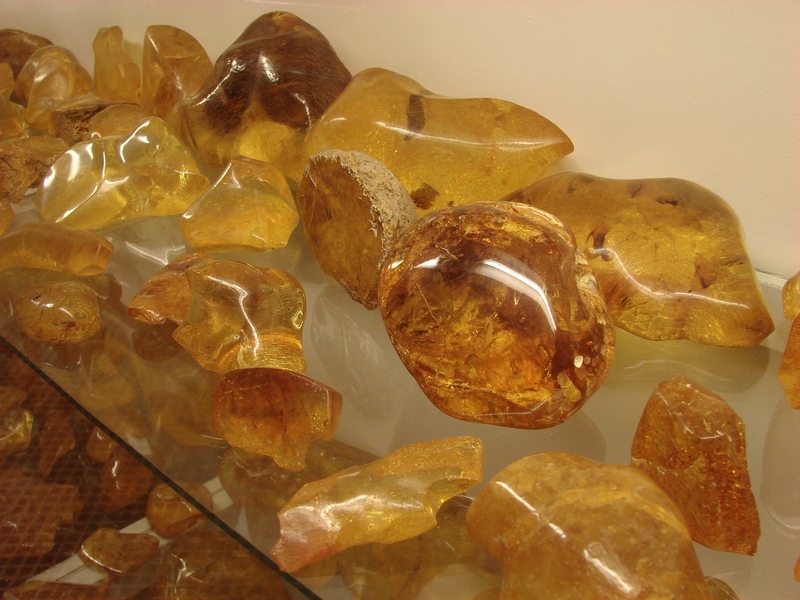 Columbia, South America has extensive deposits of copal which is frequently sold as amber. CARBON 14 TESTS UNDERTAKEN ON COLOMBIAN COPAL HAVE SHOWN IT IS LESS THAN 250 YEARS OLD! Madagascar and Kenya also have highly fossiliferous copal mines. 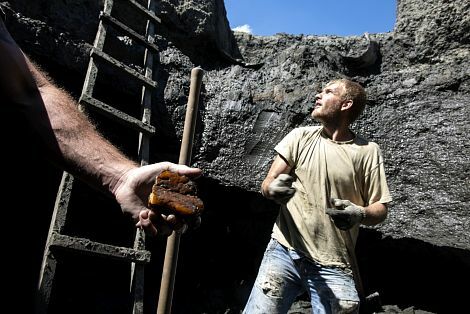 Their age is likely to be roughly the same as the Colombian deposits, if not younger. There are no known true fossil amber deposits in Colombia so if a piece of "amber" is being sold with a source of "Colombia", it is COPAL and is NOT REAL FOSSIL AMBER.